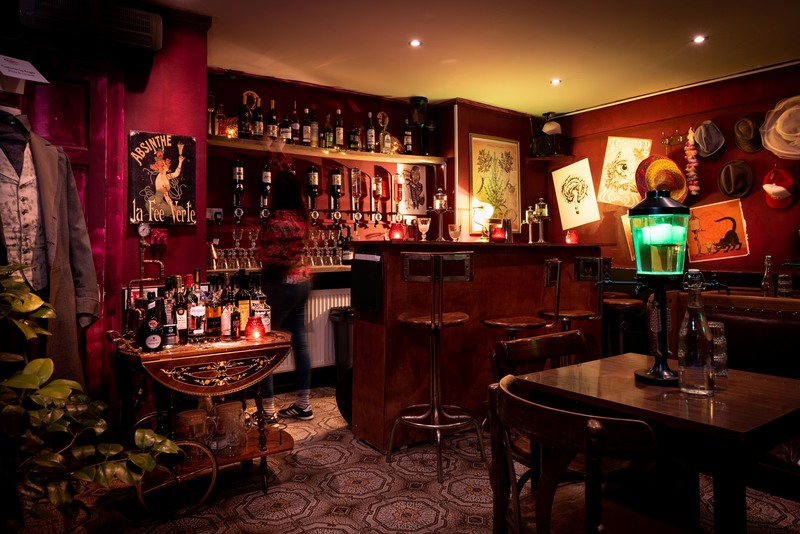 Welcome to Croque Monsieur – the Absinthe minded speakeasy you don’t know you’re in love with yet! Our Mission is to re-frame people’s opinion and experience of absinthe by serving it in the traditional ‘louche’ manner with a supporting cast of absinthe minded cocktails. All our drinks are served with bottomless snacks. An array of ‘inhibition hats’ are dotted around the bar to help patrons lose their own.